What is going to be trendy the coming season? I bet you have all been thinking about it already, Although we have summer ahead of us, it is never too early to learn the future tendencies. Basically, it is always good to look ahead and decide what to wear in summer to have a smooth transition in autumn. 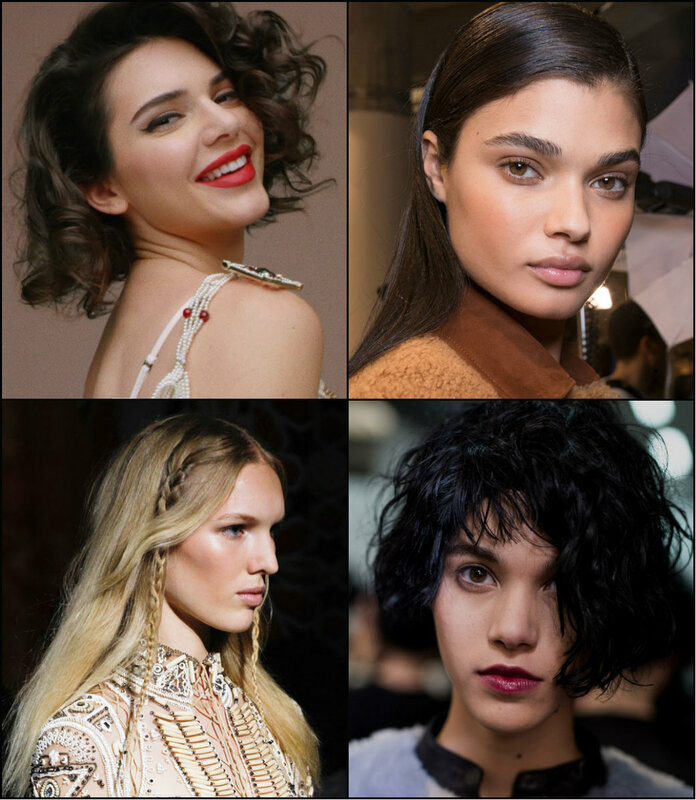 So summer hairstyles being discussed and well digested, let's turn to fall 2017 hair trends, and softly pass on to winter 2018 hairstyles. First of all, it is about color. Autumn hair colors are much deeper and dimensional than summer ones. So it is essential to bear it in kind when going platinum blonde for a couple of months. The big night, the notorious event took place last night in Los Angeles. Yes, the 89th Oscar's Academy Awards hosted celebrities on the red carpet. The greatest event of the year once again proved to be the center of elegance and smart taste, where only sophisticated style can find its place. However, meanwhile the whole world is buzzing about the red carpet, we find it no less important to take a look at the parties after the big event. Actually, it is after-parties that can speak louder than official red carpet looks. So what we saw behind the masks of the solemn looks on the red carpet, were no less elegant. We have to confess that all the looks and celebrity hairstyles 2017 Oscars after-parties introduced were glamorous and very Hollywood appropriate. We state that cause far too many celebs have chosen to get the classy glam look inspired by old Hollywood - ankle long dresses with high thigh slit showing of the full length of leg, gold and glitter, bouncy waves and deep side parts, accompanied by red lipstick. The trends for everything in the fashion world changes with each single day And we, ladies, being so busy with our job and family and, why not, with ourselves sometimes can miss some hottest tendencies. Thank goodness, there are some trends that actually never go out of fashion. This refers to each single branch in the beauty world, from accessories to make up, from casual outfits to cocktail dresses. Of course, this is absolutely true about popular hairstyles too. This is why I have collected a brief gallery of 10 timeless trendy hairstyles that always find their special niche no matter what trends and seasons we are living. Below you will find short pixies, forever trendy bob cuts, long straight and layered styles, that have gone through decades and still prove their popularity. Get ready for the journey! Talking about fashion things, modern popular hairstyles, bright outfit and smart make-up, very often we are talking about working women, about business ladies who have to be fit, to keep being trendy all the time. However, I have to say today that housewives are the ones doing the hardest work in the world - bringing up and educating our future, our children. And the housewives are the women who manage to be multi functional, caring, attentive, concentrated and keep being beautiful and admiring. 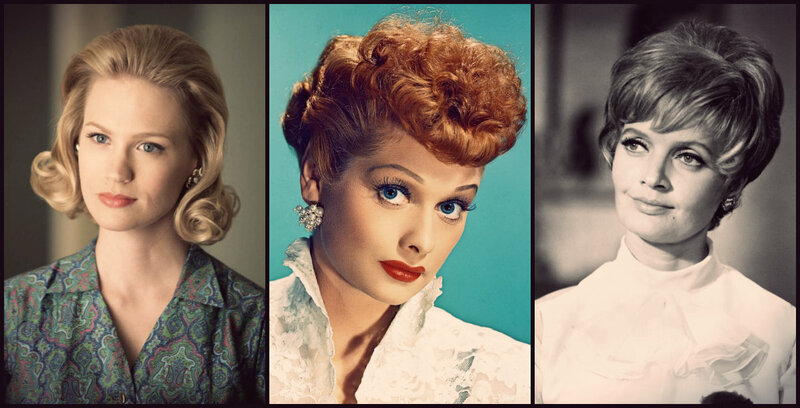 For all the adorable housewives today we will go through cute hairstyles collection taken out from movies and inspired by back row ladies behind their husbands, injecting them with strength and power. You can hardly find another day in the whole calendar year when you can feel a child again, so careless and happy, in ridiculous and frightening costumes and make up. This is the Halloween day for sure. The only day when you can forget about being yourself and choose another character to rock the whole night. This is the night when you buy infinite amount of candies to play trick-or-treaters and you leave behind your diet and care for healthy teeth and go on eating candies and enjoying the party. Which is the best option to open up you femininity and sexuality? The answer is vintage look for sure. 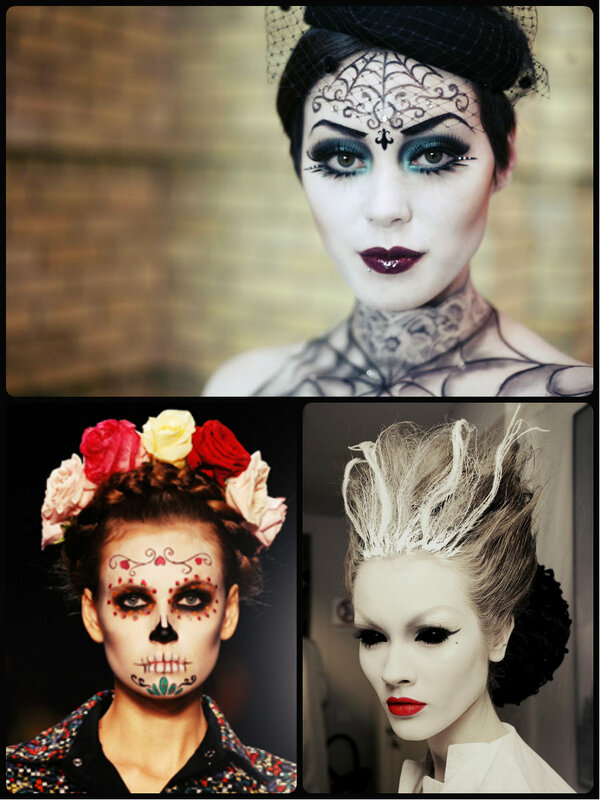 Red lipstick, definite eyeliner and the incredible retro hairstyles will convert you into a real lady vamp. 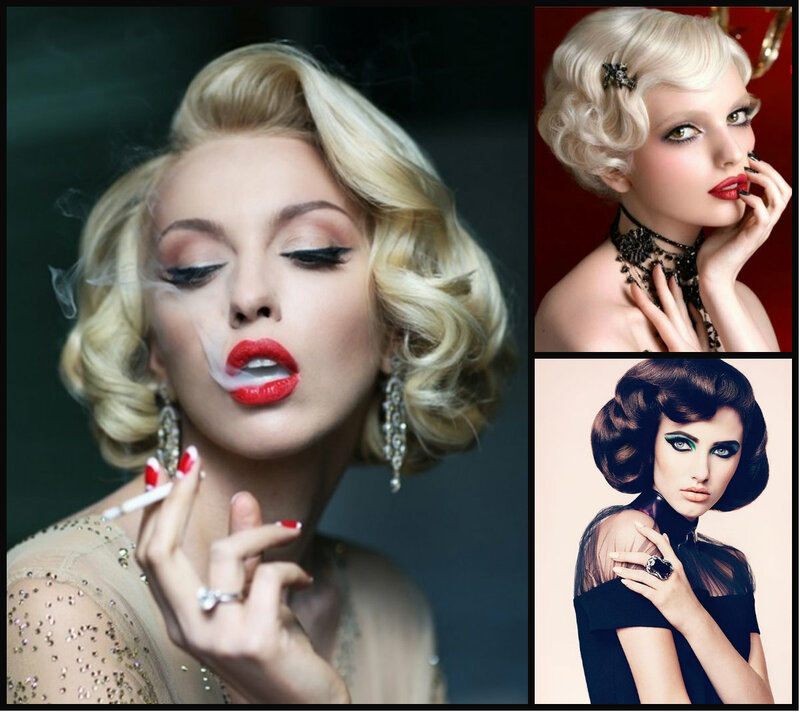 Nothing can be more sensual than this, and you should be very daring and confident to try vintage hairstyles for fall 2015. Victorian rolls and finger waves, bouncy curls and bouffant updos are the hairstyles that will change your image forever. And wherever you go with this outfit you will shine on and conquer the world. 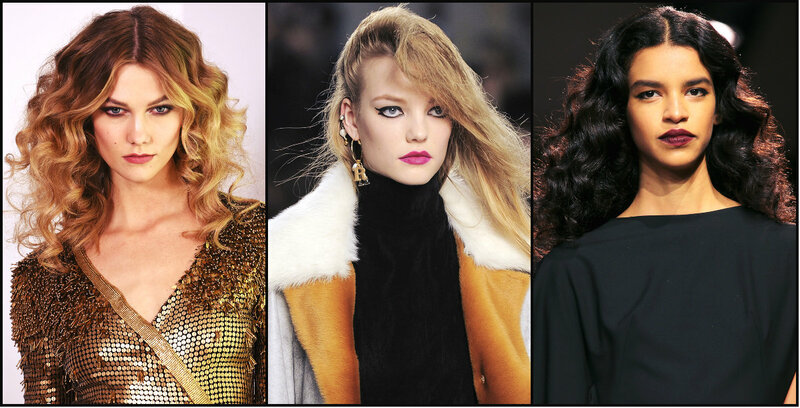 Though hairstyles 2015 are more about relaxed looks, it doesn't mean that retro looks are out of fashion. They are always in, and always will be!